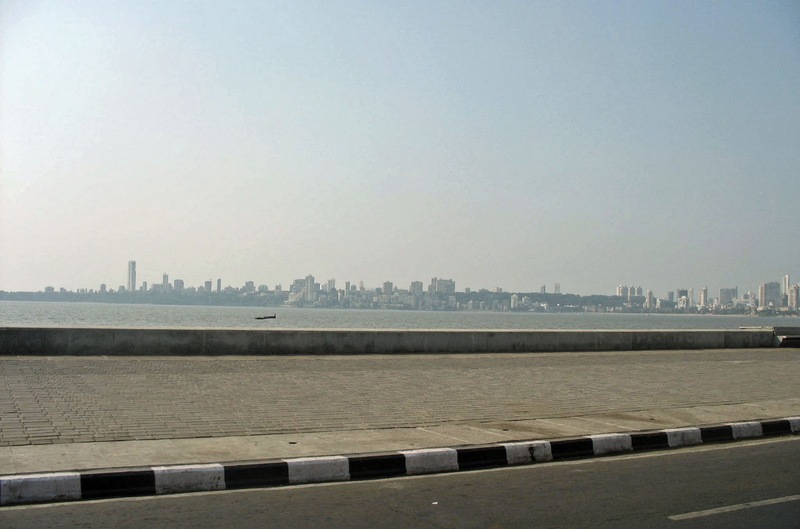 The first photo was shot from the road which snakes up Malabar Hill from Marine Drive. From here one can get a breathtaking view of the Mumbai skyline, in this case Marine Drive and the buildings in South Mumbai. 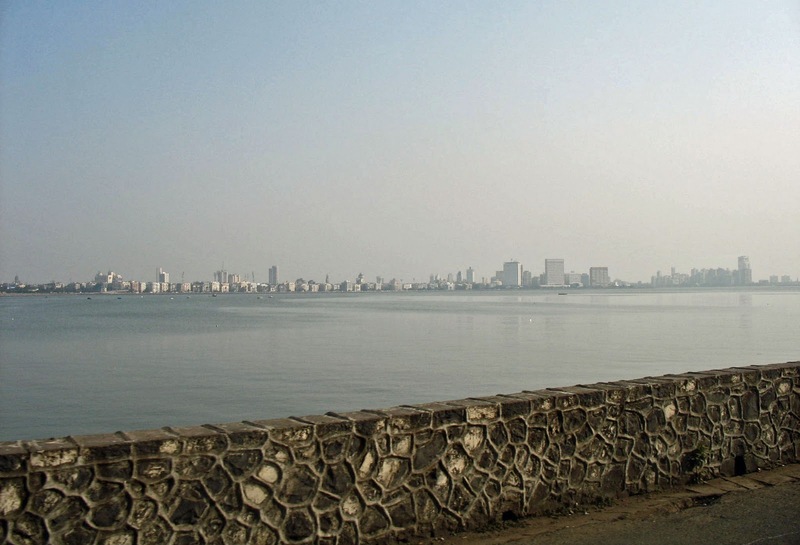 The two tall flat rectangular buildings to the right of the picture are the iconic Air India building and the Oberoi Hotel. This area is known as Nariman Point and is an office/commerical area. Buying office space here is very expensive, akin to New York's Manhattan. The cluster of buildings at land's end to the extreme right of the image are part of Navy Nagar, which consists of residential buildings owned by the Navy. The photos below are taken from Marine Drive. This road goes up to Nariman Point. Marine Drive is a famous road in Mumbai. As this picture was taken when renovation work was going on you can see a few structures on the side of the road. Today this area has a clean and broad sidewalk which you can see in one of the images at the end of the post. This is clearer picture of the Air India building and the Oberoi Towers. It was at the Oberoi that the Pakistani terrorists had struck on 26th of November 2008. The following two images are the skyline Mumbai, but from a different direction - the camera is pointed at Malabar Hill. This is a posh area in Mumbai. The Chief Minister's bungalow is at lands end with its own private beach. 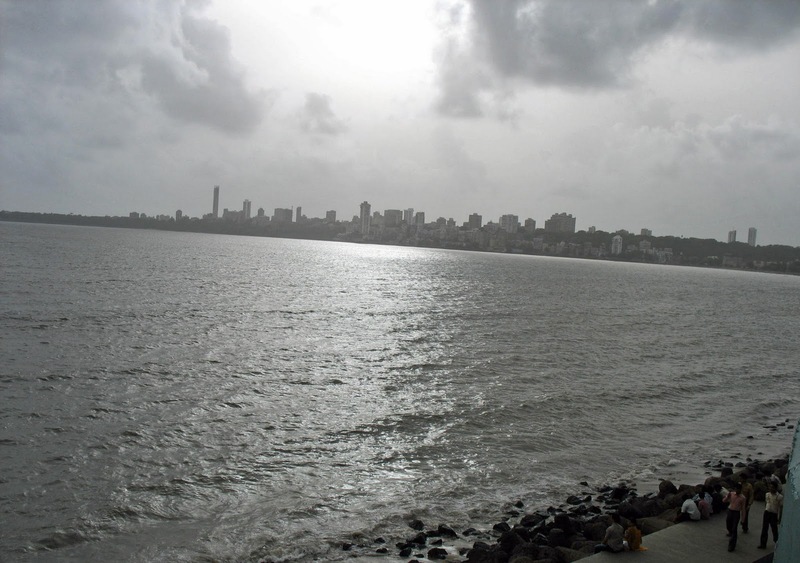 The area has the residences of the elite of Mumbai. These photographs make good header images. Click the label "Headers" under this post if you are looking for headers. For city scapes from different parts of the world click the label "Skylines" below this post. For more photographs of India's commercial capital, try the label "Mumbai."